Seems like headphones are all the rage this holiday season, all sorts of high dollar, over the ear headgear, or even special, custom made silicone earbuds. Most of them are way over-the-top in terms of cost, so they’re not going to be handed out to too many people on my Christmas list. I have to find something with cool-factor, that’s not going to break the bank. Check out Tooks (pronouced two-ks) Hats, a new take on your classic winter hat, Tooks are a 100% acrylic beanie style hat, with high quality removable headphones built right inside. Giving you a fashionable beanie look, while providing you with amazing comfort, excellent sound quality, and freedom from bulky headphones or pesky earbuds, and, oh yeah… warmth. 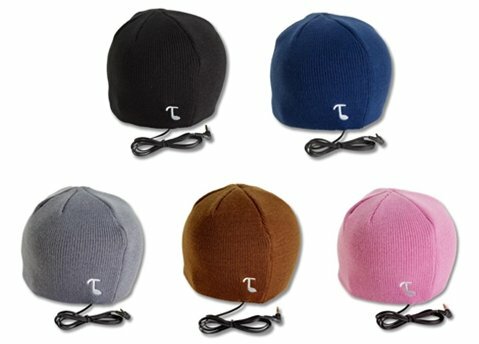 Tooks feature small, (1.5 inch) very slim, removable headphones that are inserted into the inner layers of your comfy hat, and then adjusted to fit directly over your ears, with a small piece of velcro helping to keep them in place, and they’re also removable, so when the time comes, your hat can be washed. Tooks come with a standard 3.5 mm connection plug, a 56 inch cord, and fits most folks ages 13 and up. Tooks come in many different colors and styles, with most prices right around 25 bucks. Perfect. If some Tooks Hats fit your gift giving needs, go ahead and get some at amazon.com.